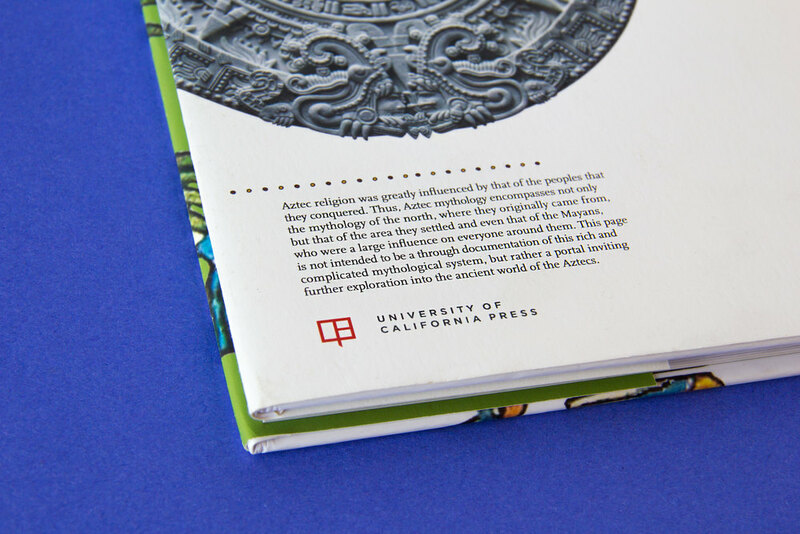 This book highlights myths, gods and goddesses that were important to the Aztecs during pre Columbian times. To make this book stand out, I added small, but unexpected details throughout the book. Instead of using regular chapter numbers, I used the Aztec's numbering system. Each opening chapter highlights a specific quote of one of the stories within the chapter. In my book, you will see that I brought in design elements that Aztecs used in their scribes and incorporated that into the pages.